Auto companies want Trump’s regulators to make a deal with the state. In 2012, the Barack Obama administration imposed regulatory standards that require significant increases in the fuel economy of automobiles. Intent on reducing regulatory costs, the Donald Trump administration is rethinking those standards. But it’s encountering a major roadblock: California. Because California is so large, and because more cars are sold there, by far, than in any other state, its regulators are in a strong position to drive the national market with respect to fuel economy — and to influence national regulators as well. Under federal law, two different agencies regulate motor vehicles. 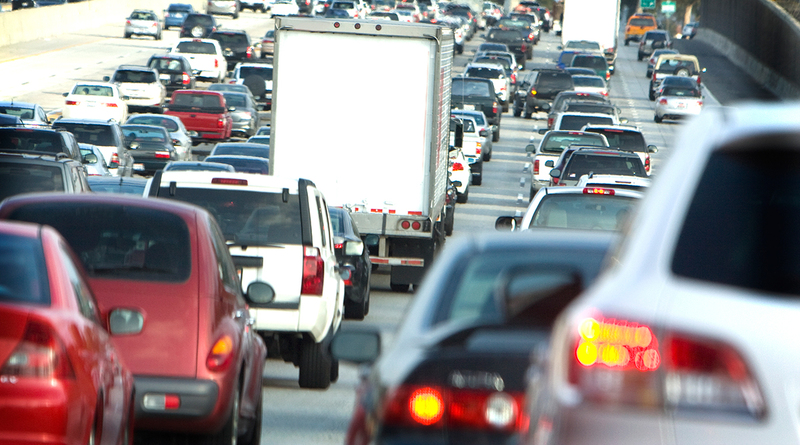 The Department of Transportation issues fuel-economy standards. The Environmental Protection Agency controls air pollution from cars and trucks (notably, pollution includes greenhouse gases). States are generally forbidden from issuing their own requirements. Preemption of state law promotes uniformity, which the automobile companies like, and it ensures that the national government runs the show. California is a big exception. Because it has had terrible air pollution problems, especially in Los Angeles, federal law allows the state to issue its own standards if they are “at least as protective of public health and welfare as applicable Federal standards.” Under the law, the federal government is allowed to block California’s standards, but only if those standards are “arbitrary or capricious,” or if California does not need them “to meet compelling and extraordinary conditions” (typically including high levels of air pollution). During the Obama administration, the federal government was required to thread a needle. To avoid regulatory chaos, the Department of Transportation and EPA had to work together to produce a single “national program” — and California had to endorse it. For those who favor strong regulatory standards, California’s presence is essential, because it helps bring automobile companies to the bargaining table. Even under Democratic presidents, the state typically seeks more stringent regulation than does the federal government. For that reason, companies have been willing to support more burdensome federal regulation than they otherwise would — as long as California could be convinced to back off. In 2012, that’s exactly what happened, with federal regulations calling for cars to exceed a fleetwide average standard of 50 miles per gallon by 2025. That’s aggressive. It’s also expected to deliver big benefits, including billions of dollars in annual fuel savings for consumers, massive reductions in oil consumption and substantial cuts in air pollution (including greenhouse-gas emissions). Unfortunately, the regulations are unusually expensive, adding billions of dollars in annual costs, which will be passed onto consumers when they buy new cars. Even so, the government’s numbers find that the program survives cost-benefit analysis: Consumers are expected to save more at the pump than they will pay upfront. In 2017, the major automobile companies asked the Trump administration to reassess the program, complaining of the expense and potential infeasibility, and arguing that high fuel-economy requirements are badly out of step with consumer preferences. Trump heard their arguments and called for that reassessment. At the same time, the administration has not yet seriously questioned California’s authority to set its own standards. That could be critical, because the state is promising to issue aggressive rules that could equal or exceed the Obama-era requirements. Late last year, the automobile companies saw the problem and asked the Trump administration to make some kind of deal with California. The companies need certainty and uniformity — which would be undermined if California issues stringent regulations and the Trump administration doesn’t. It’s true that the Trump administration could try to block California from acting at all. But it may lack the legal authority to do so. And if it tried, it would be subject to protracted litigation. From the standpoint of planning, that’s the last thing the automobile companies need — which helps explain their enthusiasm for a deal. According to recent reports, the Trump administration is nonetheless thinking seriously about proposing substantial loosening of Obama-era requirements. But it is also working hard to avoid conflicts with California and to continue with a single “national program” — which would likely lead to greater stringency than the administration’s regulators would like. Whatever Trump’s regulators end up proposing, we can draw two general lessons. The first is that California can drive the national market, and when it does, it imposes intense pressures on national officials who would otherwise choose a more lenient course. The second is that affected companies might well accept or even demand pretty aggressive federal regulation — at least if that’s the price for getting California to back off.